How to set up payment method? All supported payment methods can be found in Admin -> Settings -> Payment Methods tab. Detail information about how to set up each payment method can be found in one of the sections below. 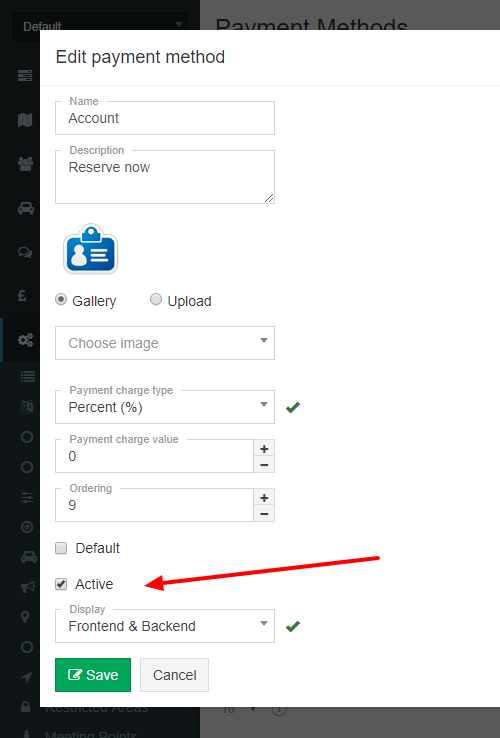 Please note that you have to first configure and activate payment method in admin panel in order to be able use it. 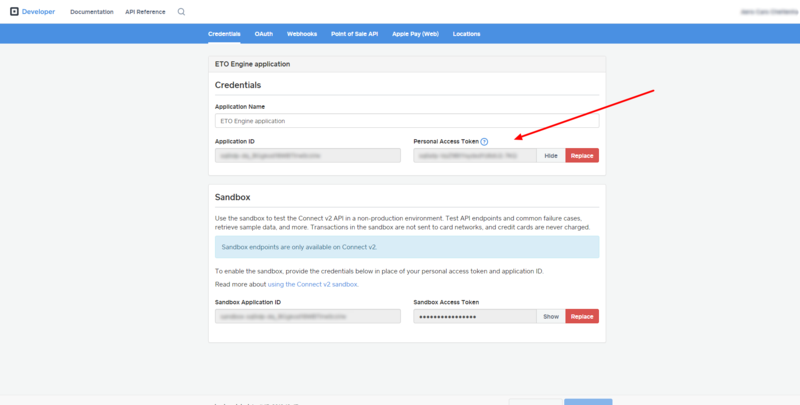 To configure payment method you need to click on the edit button that is displayed next to the name. By using this payment method Customer has to make cash payment directly to a Driver as there is no facility to do it directly from the booking form. No settings are required for this payment method to work, just please make sure it is activated. To make this integration work, first you need to register new PayPal account or use an existing one. 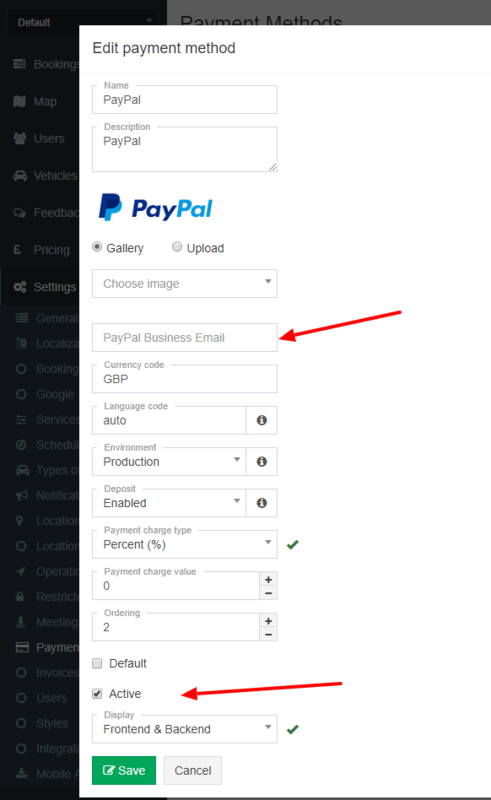 Once you have an account you need to enter in configuration tab your PayPal business email address. The one you use to login to your PayPal account. When this is done please make sure that the payment method is activated and all settings are saved. Note: PayPal has two tabs, as customer you can switch in between Login or Pay with Credit Card tab. If you used PayPal before, your browser remembers it and open Login tab. If you have not used it, browser will open Credit Card tab. In both cases you can switch in between. 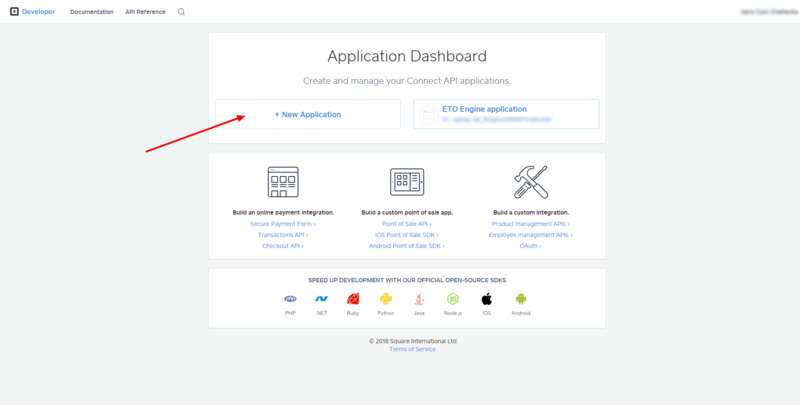 To make this integration work, first you need to register new Stripe account or use an existing one. 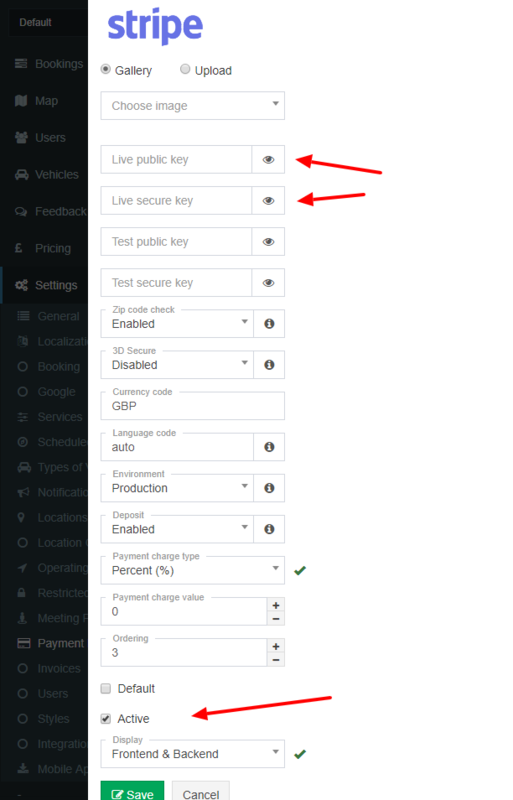 Once this is done you need to enter in configuration tab your Live public key and Live secure key. You can obtain these details from your Stripe dashboard (see the screenshot below). Important! The way Stripe is processing payments is changing. To continue taking payments via a widget on your website it is absolutely vital that you have a valid SSL certificate (https) on your website. If you do not have https in your website URL, then you do not have an SSL Certificate, and need to obtain one in order to keep using the EasyTaxiOffice. Contact your server provider in order to do so. 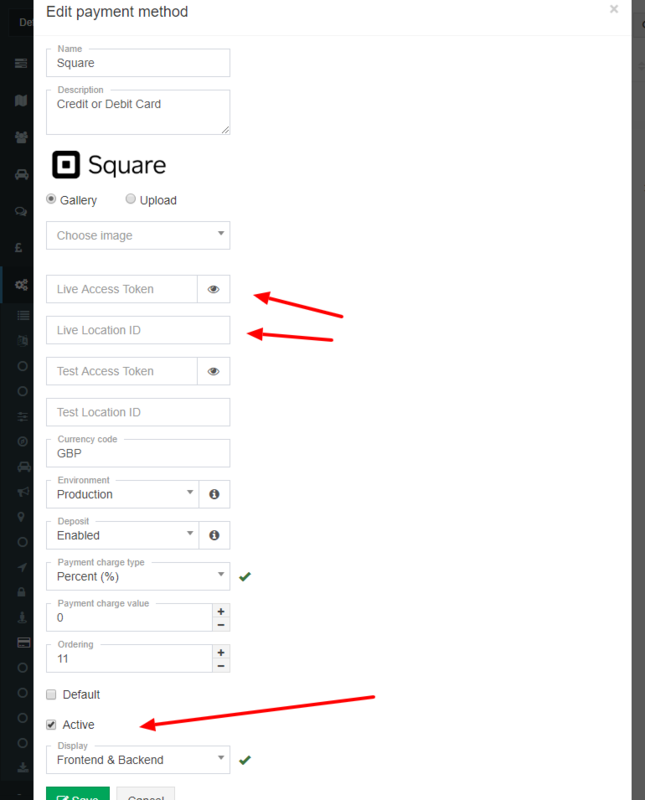 To make this integration work, first you need to register new Square account or use an existing one. 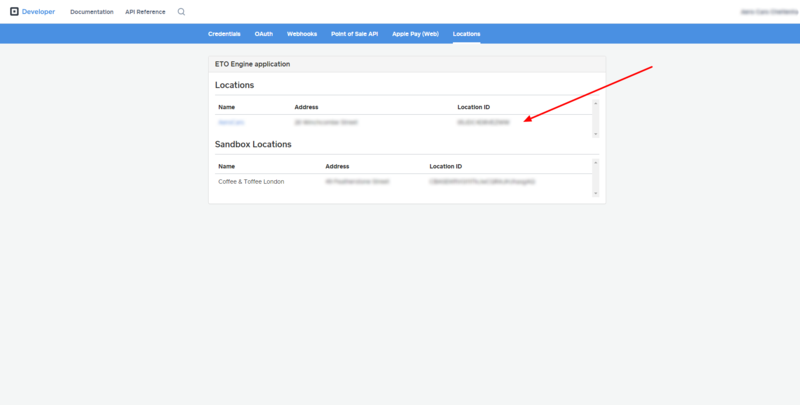 Create and copy Live Access Token and Live Location ID (see attached screenshots). Please contact Squareup support team in case you need help with it. Update Live Access Token and Live Location ID in configuration, activate payment method and save it. To make this integration work, first you need to register new WorldPay account or use an existing one. 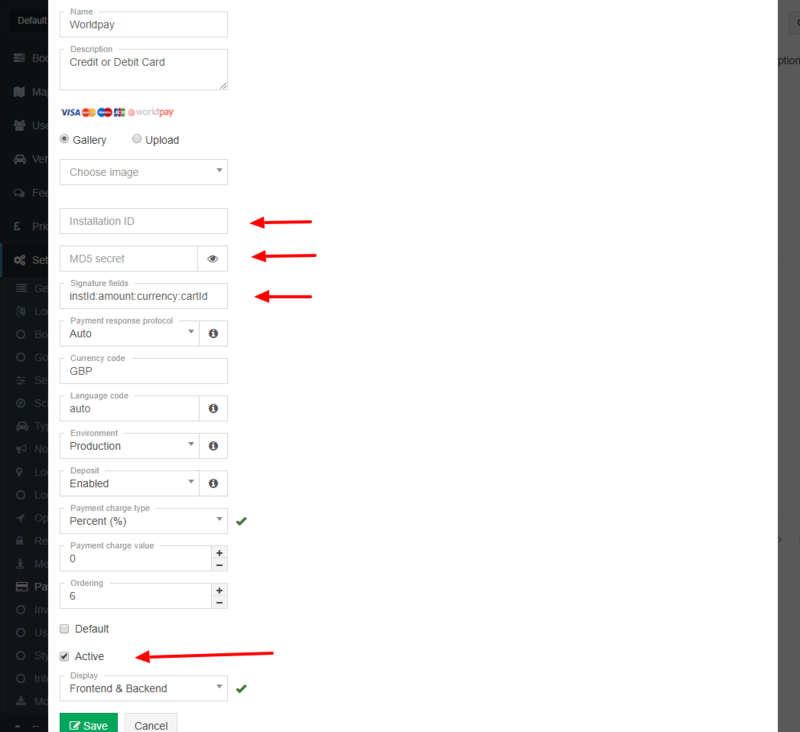 Now please login to your WorldPay account, navigate to Setup -> Production installation (little cog icon) and enter the following details (see the screenshot below). 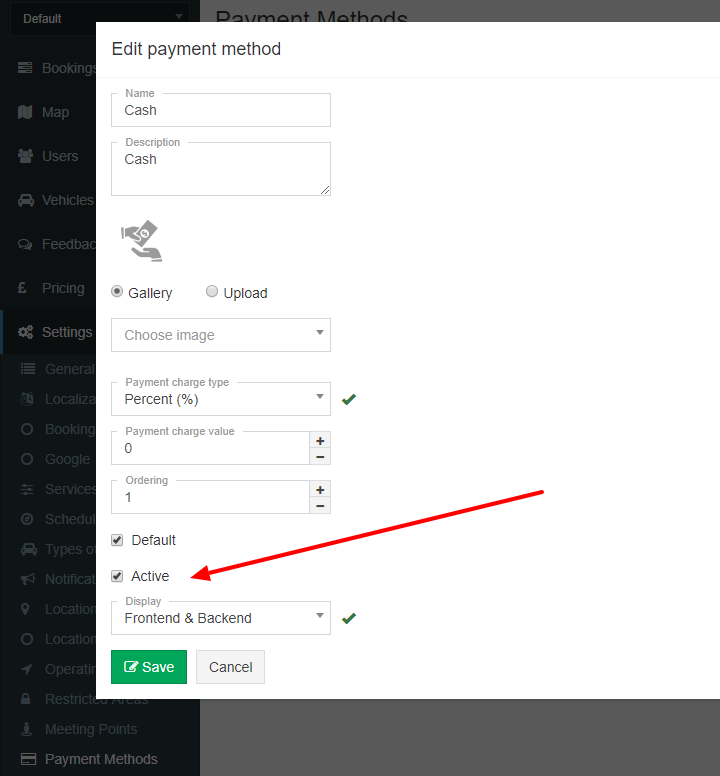 Now please go to Setup -> Edit Payment Pages and upload two template files that will redirect customer back to your website upon sucessfull or unsufcessful transaction. Next, download archived template files from here and upload it in Edit Payment Pages tab. In case you have a problem with it please contact WorldPay support team and ask them to do it for you. If you want you can skip this step, but then not redirection will be performed and your customer will stuck in WorldPay payment page. Once this is done you need to enter in configuration tab the following details (see the screenshot below). To start accepting online payments you have to activate your installation by pressing “Start trading” button in your WorldPay account, see attached screenshot below. Important! WorldPay requires secure connection (SSL) in order to use their service. In case you have a problem with payment response notifications (sending booking email after sucessfull transaction or payment status is display as unpaid) then please make sure that SNI is disabled on your server as WorldPay notification service do not support it and the notification will be blocked. SNI functionality seems to be a standard these days which WorldPay is falling behind. You can quickly check if SNI service is enabled on your server by using this website https://www.ssllabs.com/ssltest/analyze.html. To start a test you need to enter in hostname field your website URL and press submit button. Please wait until the test is completed. If you see a message like this “This site works only in browsers with SNI support.” then it means that SNI is enabled and WorldPay notification system won’t work. If you need more info about this problem please contact WorldPay support team. This payment method allows your customers to pay with their account, no transaction is processed during the booking. Later you can send them a bulk invoice for selected period of time so that they can pay everything at once eg. Bank transfer. This is a good option if you have a contract with company that you provide service for. No setting are required for this payment method to work, just please make sure it is activated. Note: This payment method will be displayed (Reserve now button) only if the customer account is registered as a company and he is logged in. 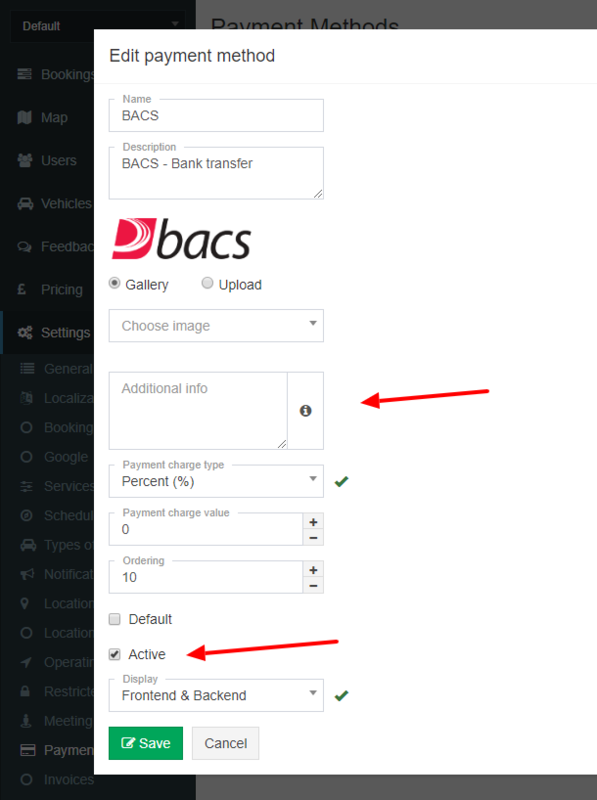 BACS is a direct bank transfer from one account to another. Customer has to make the payment directly from his bank account as there is no facility to do it directly from the booking form. Only company bank account details will be displayed to customer during the booking process. 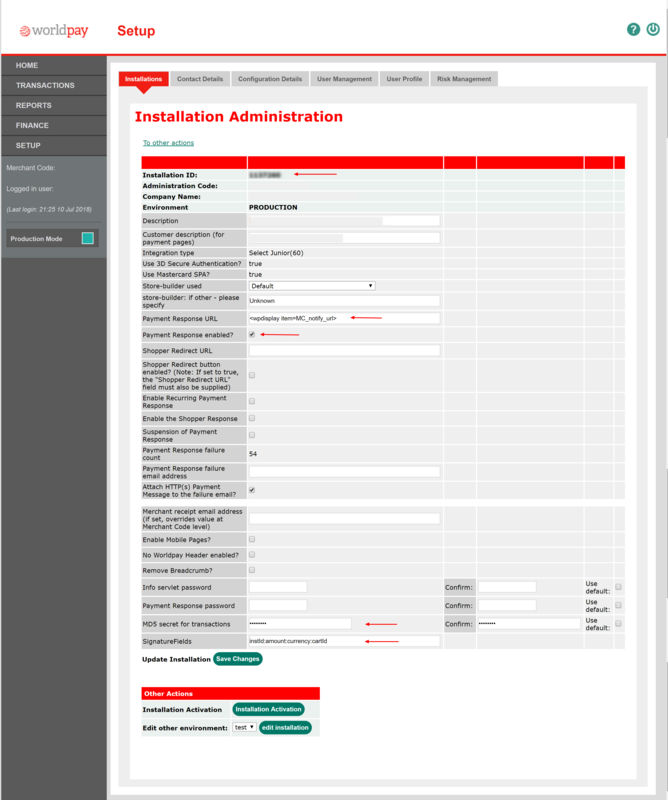 To make this integration work you just need to enter in configuration tab your company bank account details. Please enter these details in Additional info field. Once this is done please make sure that the payment method is activated and all settings are saved. Please go to Settings -> Payment Methods tab to activate this integration. Redsys is one of the most popular payment method in the Spain. iDEAL is one of the most popular payment methods in the Netherlands. GP webpay is one of the most popular payment methods in the Czech Republic. Cannot see your favourite payment method integration here? Please contact us about your requirements.